BH - hi, like your photo so much. 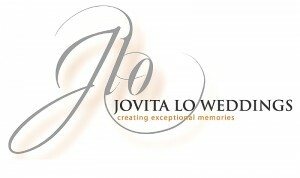 Mind know that how much u guyz charge for wedding dinner shot?ermm..like for whole day..
June - Hi Edwin. Would like to request your package price for pre-wedding shots. I noted you have some preferred vendors listed. If I engage a photographer, I will likely need my gown made/rented as well as a makeup artist. Let me know if/how your package will be for the full-length (ie. photoshoot, rented gowns, makeup, album, softcopies) will be. I’m currently based in PJ. Let me know what other details you require for the quote. Thanks much. MC - Hi, Edwin. May I know about the price for the wedding dinner and honeymoon shot, and also individual shot? And what will be included in the package? Thanks. vicky - Hi, I would like to request for your package price for pre-wedding photoshots. I’m based in penang. Thank you. Sharon Sim - Hi, love your work. Could you send me the quotation for half day and also full day for actual wedding day please? Thanks! Shirl - Hi! Lov ur work much! Would u be available on 12th Nov for wedding & reception? Pls quote me price and package. Thx! Please qoute me the price for photo shooting for dinner on 29/10/11 and actual day on 30/10/11. I search in internet found your website and the photo was great.. Appreciate your revert for the package quotation..
Any other extra charges.e.g transportation,etc. Eva - hi,can u pm me your package price for actual day video and photo shooting? morning session at Seremban, and dinner reception at Park Royal KL. can u please send me a quoatation for actual day wedding for both morning and evening? im looking into 2 photographers. my wedding will be held in bukit mertajam. do u cover till there? I’m looking for photographer for my wedding AD on 17/11/12, can you provide a quotation for full day AD photo shoot. Do you have any pre-wedding photo shooting package at Macau and Malaysia? Can you please send me your pre-wedding photography package as well as the package for wedding day. Dennis - HI I am from HK and Planning to go KK in the September and would like to take pre-wedding photo or causal portrait photo with my girl friend. can you provide the rate to me? Please qoute me the price for photo shooting for dinner on 6/10/12 (KL)and actual day on 13/10/12 (from KL to Melaka). Jing - Hi Edwin.Do you cover pre-wedding photo shooting in Perth? Can you quote me the price? Can I have your pre-wed photo package and actual day photo shooting package in Malaysia as well? May I enquire about your actual day wedding packages? Can you provide me pre-wedding photography packages? Can you please provide me the wedding package Year 2013 as well as price for overseas shooting? It would be good if the rate include gown and make up. Thanks. YS - May I enquire on your availability and package for actual day wedding photograpy. Sarah - Hi Edwin, can you please let me know your charges in local pre wedding shoots? Thanks a lot..
Kenny - Hi, would like to check with you on the charges for ROM session photoshoot on 16-February (Sunday). Thanks.